Co-working is a relatively-new term that is recognised commonly as the evolution of the workplace movement. Co-working is a call to change up the standard office workplace, to provide exciting new spaces to inspire creativity for remote workers, as well as a place where people can network and collaborate freely. This radical call to reform the typical 9-5 workplace is trending all over the world, and expanding at a rapid rate. Today we're bringing you a list of some of the best co-working spaces Barcelona has to offer. 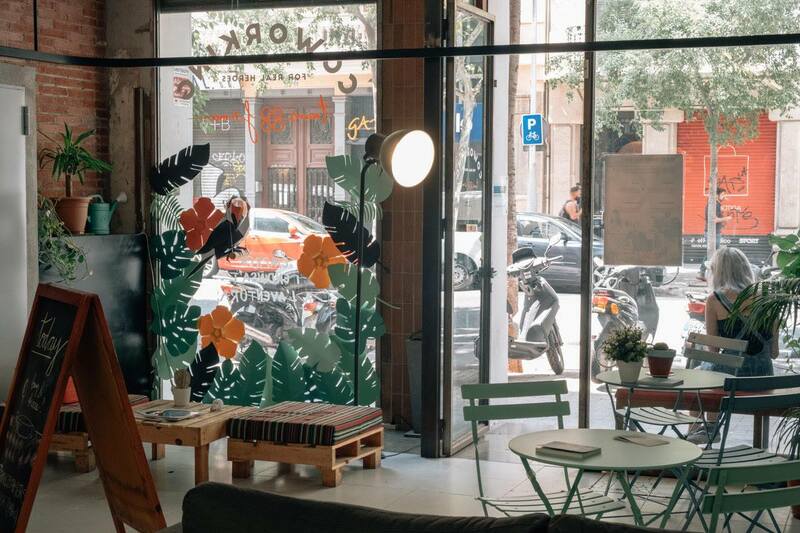 Whether you're in Barcelona for an extended business trip, or you're looking for a place to get your creative juices flowing, these 14 Best Co-Working Spaces in Barcelona will definitely prove useful. Refreshments, meeting rooms, access to events, discounts and gym memberships. The OneCoWork space in Barcelona has gained an impressive reputation for itself over the last few years. With two incredibly-located co-working spaces in Barcelona already under their belt, the third space is sure to be an impressive addition to the family. 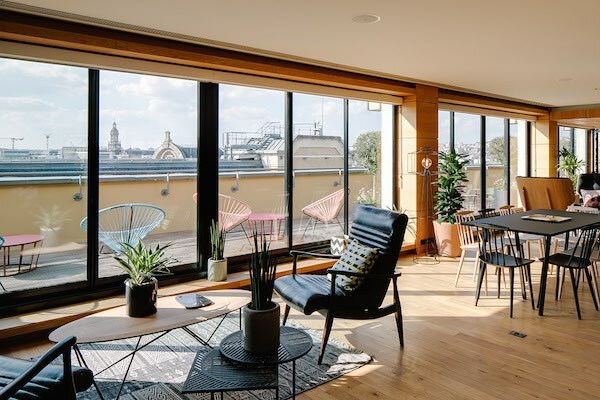 The infrastructure and design of the OneCoWork spaces are top-class, you can rent out the meeting rooms and spaces in each for private meetings, and, the central locations and beautiful views make for an enjoyable work space. The location in Plaza Catalunya, the heart of Barcelona, offers a gorgeous rooftop terrace, private event spaces, as well as free beer! The Marina Port Vell offers private event space as well, and also offers a gym! This is definitely an appealing option if you're just in town for a week and need a space to focus in the heart of busy Barcelona. Conference and Skype rooms, 24 hours access option, access to FabCafe. The first MOB Barcelona co-working space opened in 2011, and since then they've been expanding and collaborating to find the best offers to give their users. 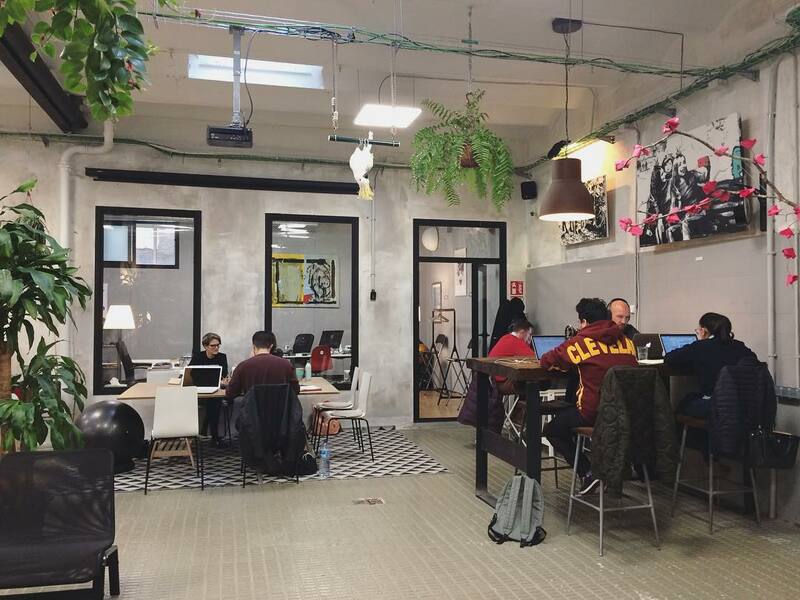 These co-working spaces are scattered throughout Barcelona, are easy to access, and provide an enjoyable atmosphere where you can buckle down and get great work done. Not to mention, the third location they're opening is right in the heart of Barcelona, making a perfect spot for a business traveller to plug in. What's more, they have their own agency which provides various services and an academy as well to train with classes, workshops and boot camps. 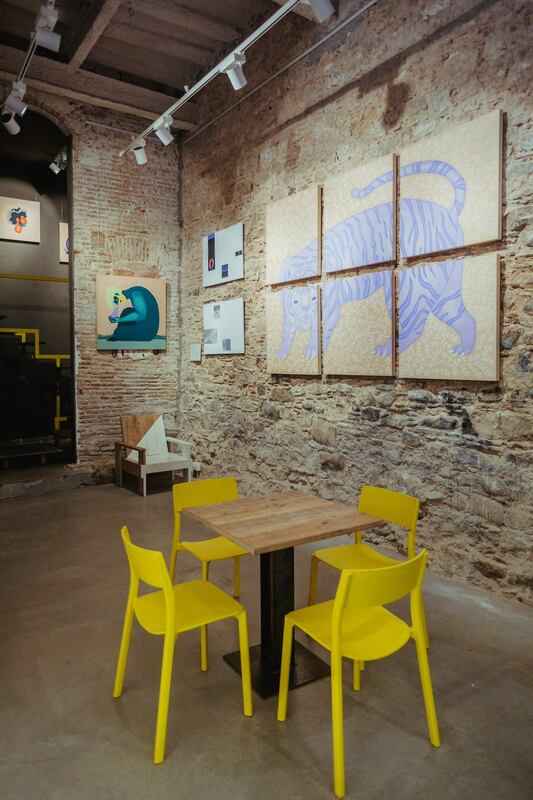 rooms, AND this is a pet-friendly Barcelona co-working space! 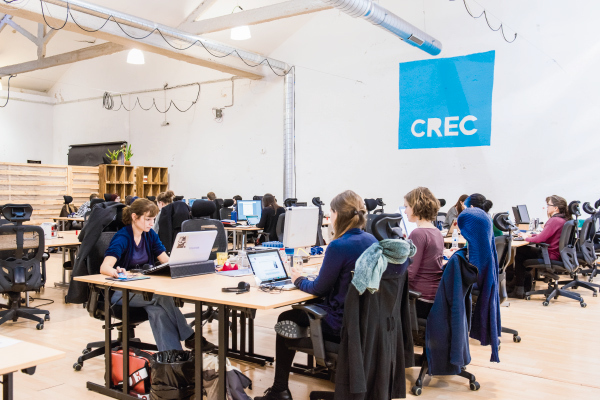 Established in 2012, the CREC Coworking Barcelona crew have been offering enjoyable co-working services since the trend became a world-wide phenomenon. The theme of the spaces are inspired by the renovated warehouse with ample space that host each office. Apart from common spaces, they offer meeting and training rooms (with really interesting and unique room names, like the Sheldon Cooper Room) therapy room, photo studio, kitchen office, and more. If you're in the Poble Sec neighbourhood or nearby the city centre, this is the space you've been looking for. They also offer community events, such as evening vermouths or workshops. Did someone say vermouth? If you could use a drink right about now, here's where to go bar hopping in Barcelona. Meeting room, printer, kitchen (coffee machine, microwave), library, TV, arcade. 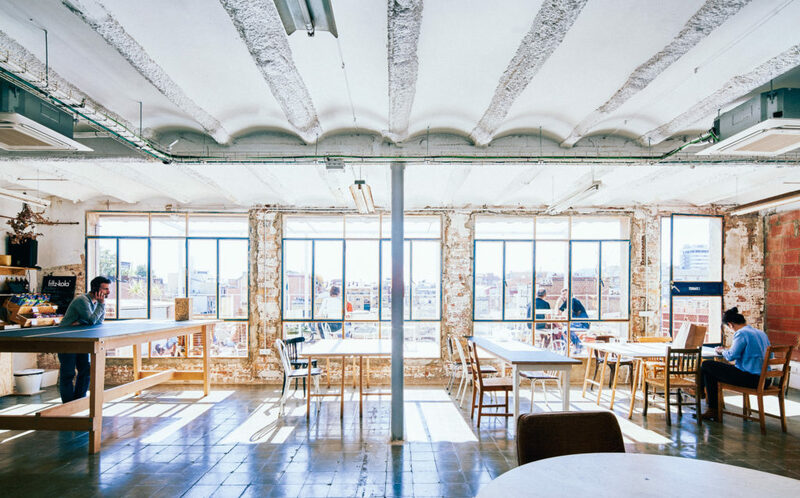 An abandoned bakery converted into a working space, El Espai Barcelona has a cosy and friendly vibe to it. Their flexible and affordable prices vary based upon your needs, there aren't swarms of people who are stealing your seat when you get up to use the toilet, and the community will make you feel at home. If you're coming to Barcelona for the week or just a few days, we highly recommend this space if you're looking for a place to bring your creative juices back to life. Day pass - 17€ - Warning - availability could be an issue, call in advance. an eco-friendly space to work in. Since 2013, this former grain factory decided to become a haven for those who are looking to work in a green, open, and environmentally-friendly space. If you are more productive when your mind is at peace, then this is refuge in busy Barcelona. The unique architecture gives you the sensation that you’re working in a loft in the middle of a forest or a farm. The warm wooden interiors attribute a very calm and peaceful atmosphere, as well as the high ceilings and abundant natural lighting. In Apocapoc, work has no room for stress, so let your positive vibes and good energy work away. They offer 2 workspaces, 2 meeting rooms, office bar, showers. Zamness offers a calm and peaceful atmosphere that radiates positive vibes with a maximum capacity of 32 people. Though this space is small, they offer a complete and efficient space. 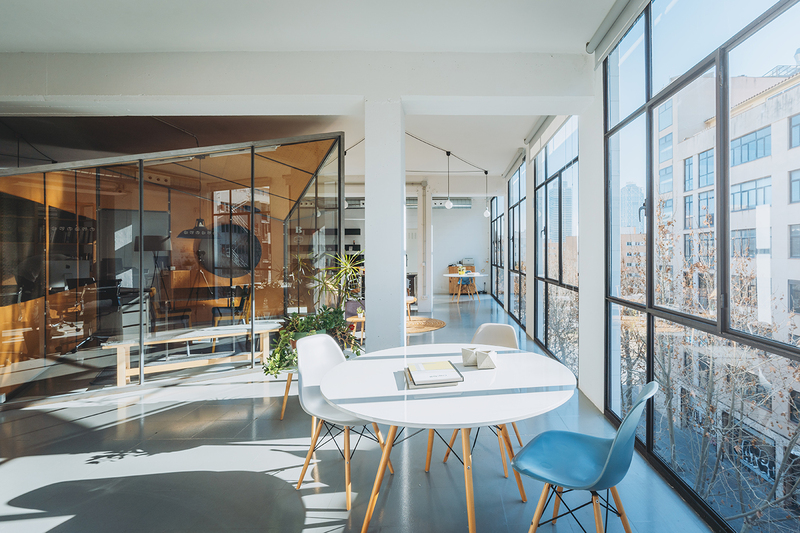 Not to mention, this Barcelona co-working space is just a 5-minute walk from the beach and offers sleek and modern interiors and meeting rooms for no additional costs, just one flat rate. Inquire about availability beforehand. This multi-purpose Barcelona co-working space offers different floors with different setups to match all personality types and preferred work environments and ambiances. Located in one of the most beloved neighbourhoods in Barcelona, La Vila de Grácia, this popular co-working space has made quite the impression in the city. Betahaus is "a coworking space for entrepreneurs and creative professionals born under the 'perpetual beta' principle." If you need a brightly-lit space to inspire your work week, look no further. tables, video games, community events. 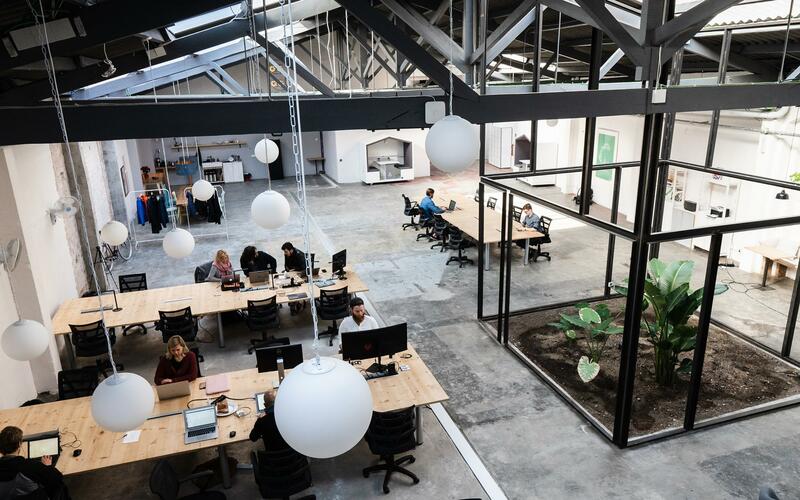 This former dairy shop is now a thriving Barcelona co-working space where you can enjoy activities that are formed around the "Vaca" community. The strong community is all about offering comfortable facilities, enjoyable spaces to work, and opportunities to network with the other members. You can even take a 3D tour before deciding to even go and look at the place to get a feel for La Vaca. Like to dance? They've got DJ equipment in the basement, as well as a gaming zone to take a well-deserved break. Did you know Poble Sec is famous for its "pintxos" restaurants? For a complete list of the best bars and restaurants in Barcelona, download your free copy of the Essential Barcelona Food Guide here. printer, projector and lounge area. Modern, sleek, chic. All of the above. The meeting rooms and private phone booths are placed carefully around the garden space located in the centre of the warehouse. If you're looking for a space with high ceilings, natural lighting that falls into the room from the skylights, as well as ample space to work without worrying about bumping into anyone, this is your spot. Barcelona is full of some of the most beautiful and unique spaces, isn't it? coffee and tea, meeting rooms for members. This 6-floor building in the city centre is everything you've ever wanted and more from a co-working space in Barcelona. From the incredible rooftop terrace views, to the support for marketing and web development available for members, and even the in-house gym! Attention Barcelona start-ups, you can even register your company here! As a member and a daily or weekly pass holder, you'll be able to reap the benefits of Attico Coworking. PS - they have two other locations, and one on the way near the Verdaguer metro stop! 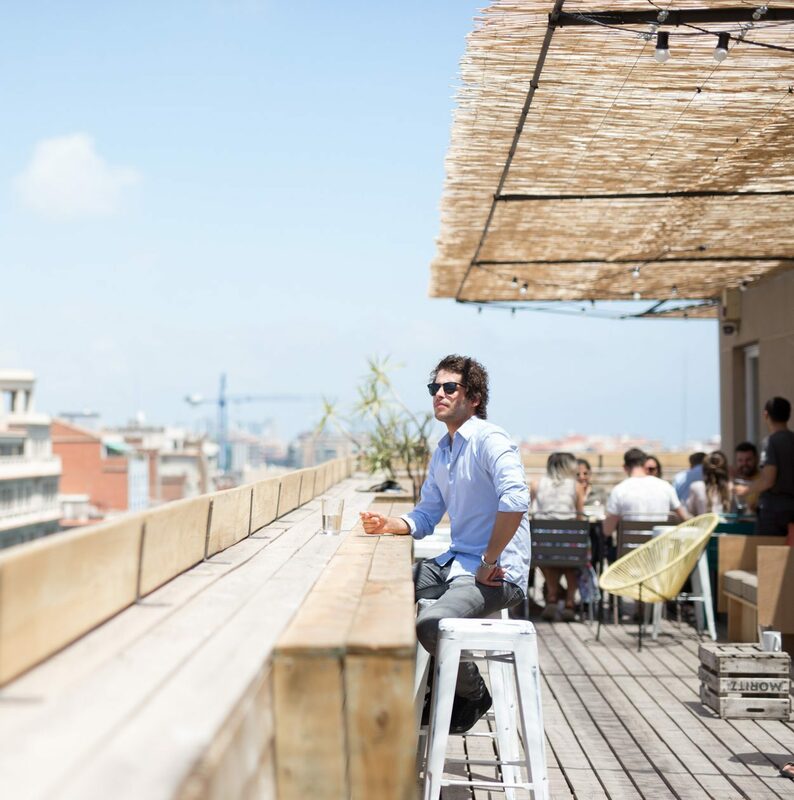 Speaking of rooftops, imagine watching the sun go down from these top 10 Barcelona rooftop venues. outdoor space and event space, dog friendly spaces, and showers. WeWork is one of the largest co-working spaces in the world, with 617 spaces in 102 different cities, and with a membership, you can have access to all of these spaces based on a credit system. If you're a frequent travel and need a secure place to buckle down and focus, WeWork is an incredible opportunity for the remote worker. 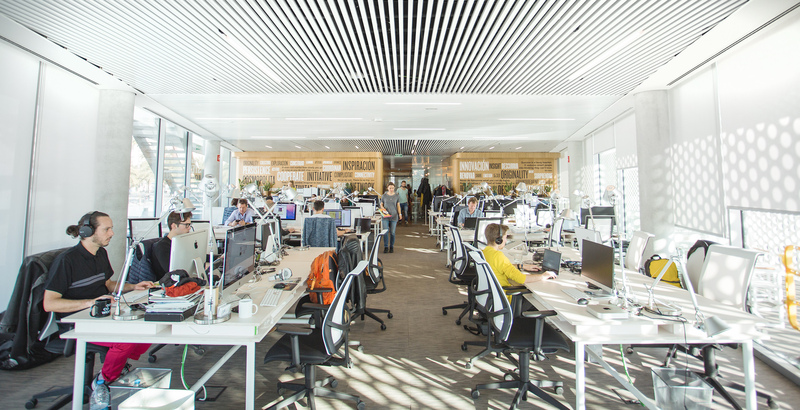 In the Barcelona Glories location, there are 9 floors of space for you to enjoy in the corporate tech hub of Barcelona. Soon there will be 4 WeWork locations in the city, all in some of the best neighbourhoods in Barcelona. Whether your rental apartment is located next to the Sagrada Familia, or you've recently moved to the city, this is the best co-working space in the neighbourhood. Cloudworks Sagrada Familia has one of the most incredible terraces with front row views of one of the world's most famous churches. Not to mention the prices are reasonable, there's an overflow of natural lighting, and the internet is as fast as lightning. There are 5 locations in Barcelona in total if you want to switch up your routine and get to know other neighbourhoods in the city. Not your typical co-working space, Transforma is all about community, working in a comfortable and eclectic environment, committed to collaborating, sharing, and exchanging ideas amongst each other. 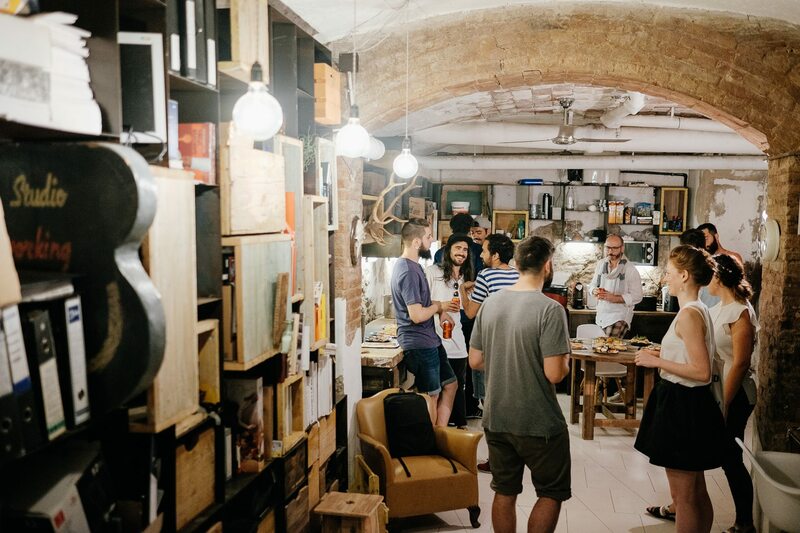 The spirit of community at this Barcelona co-working haven is tangible, as they organise exciting events every week, and their users are proud to be members. The prices are very affordable, they have their own café on-site, and the amenities are hard to beat. Ready to get some work done and have fun? Want to see more incredible WiFi Cafes in Barcelona? Here are our 50 favourite cafes for strong coffee and even stronger Mbps. In-house event discounts, lockers, coffee and drink discounts, print and scan discount. 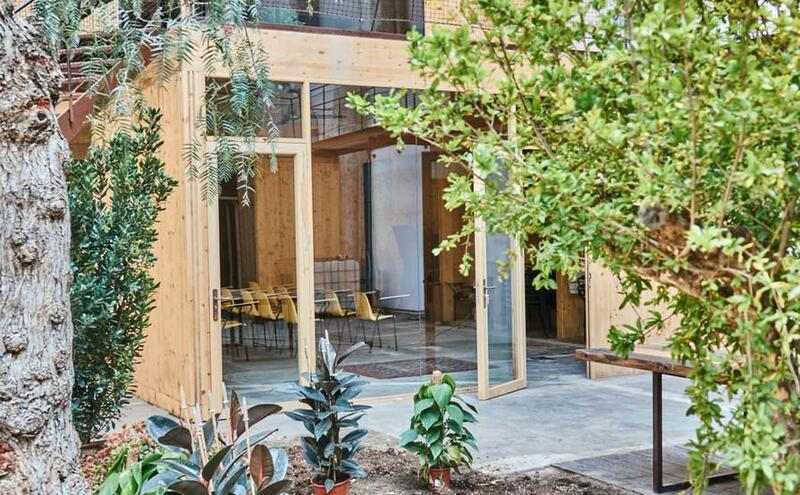 Located in the "cor" (meaning "heart" in Catalan) of the historic neighbourhood of El Born, this Barcelona co-working space boasts an ideal location that nomadic workers dreams about. This multi-purpose space functions as both a co-working hub as well as a gorgeous art gallery. For those of you who are inspired by the arts, this is the perfect place for you to get into the work zone. Not to mention, they host frequent events, workshops, and talks, and all members have special discounts on all internal tickets and services. Try out this unique space the next time you're in Barcelona for just 15 euros a day! So you've got the co-working spaces covered in Barcelona, but still don't know where to stay for your next work-cation? Get in touch at contact@akommo.com and our account managers will provide personalised options for your apartment needs in Barcelona.